In this section we just talk about header style and if you like, read more about header. Now click on Header. Here you cane different styles for header. Select whether style you like and click Save Options. 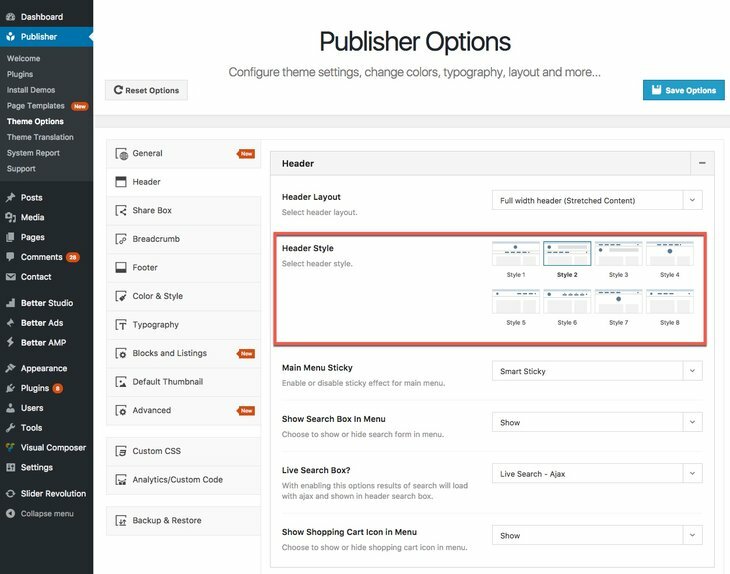 Read more about Header Layouts. 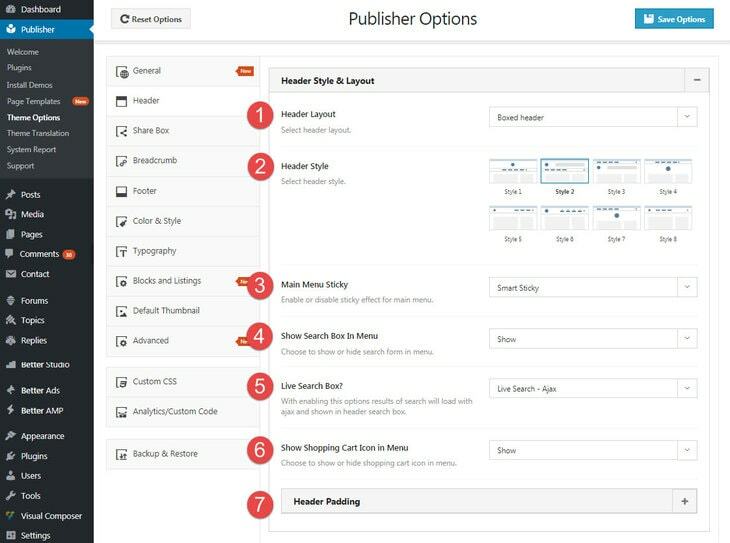 The general rule for adding Ads in different header styles is: when logo and main menu are side by side, there is no place for adding Ads (styles 5, 6 and 8). When the logo is at one side, one Ad could be added to the other side (styles 2 and 3). Finally when the logo is at the middle of header, two Ads could be added to both sides of logo (styles 1, 4 and 7). We select all styles one by one with Ads (if possible) so can see these header styles also their Ads location. ADD AN AIMGE FOR EVERY STYLE WITH ITS ADS.